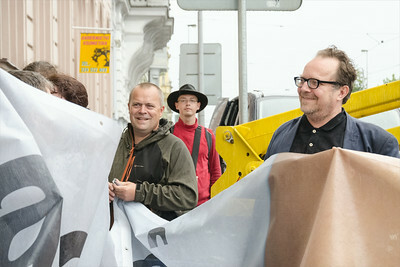 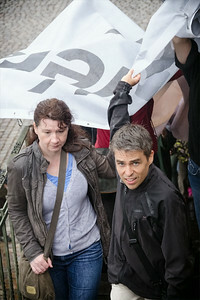 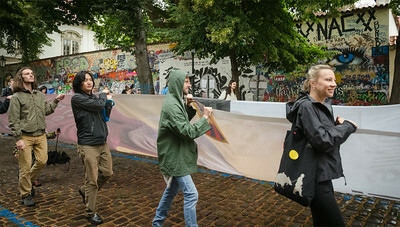 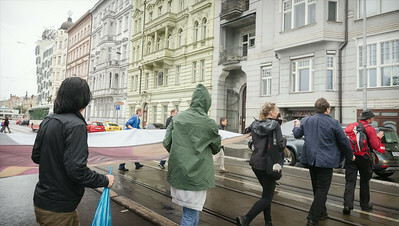 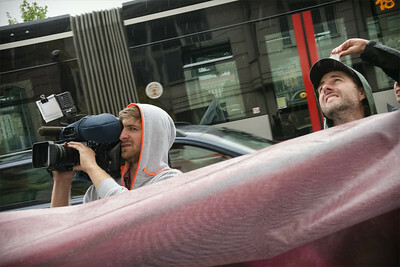 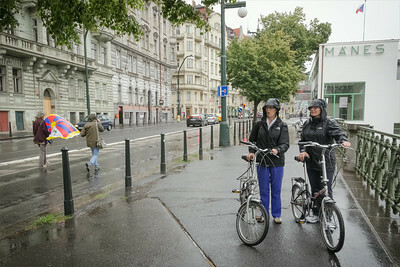 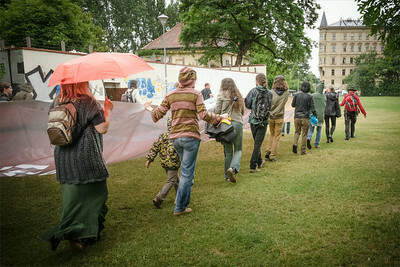 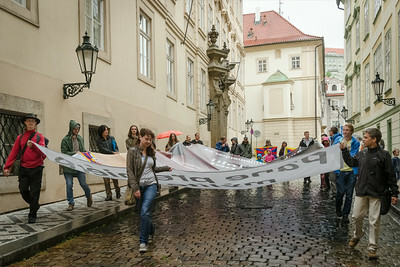 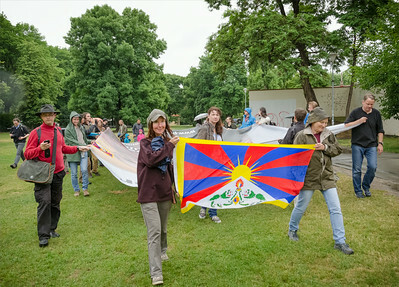 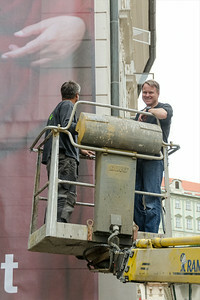 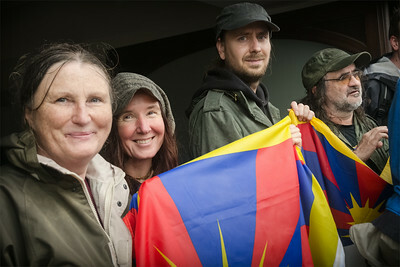 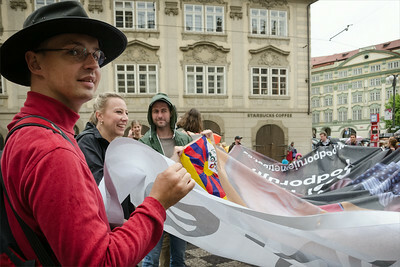 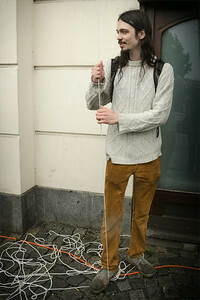 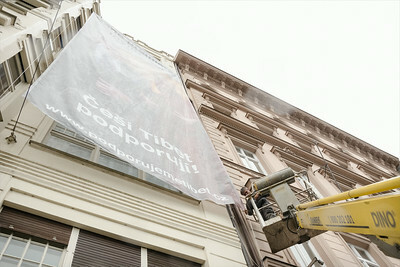 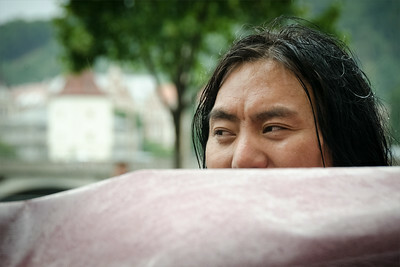 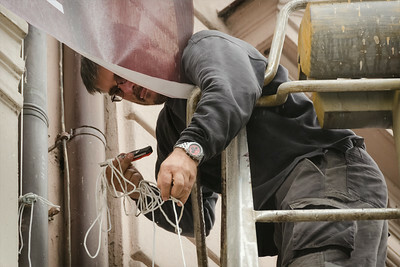 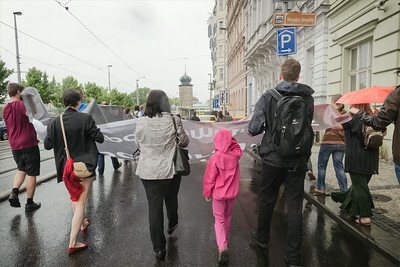 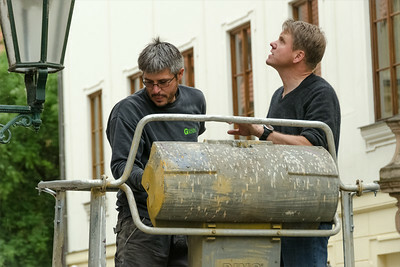 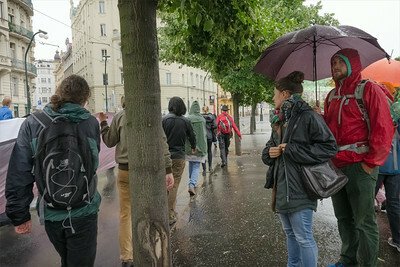 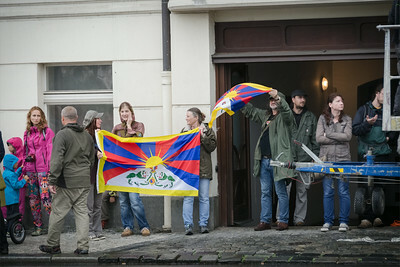 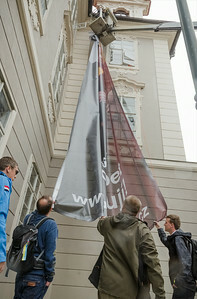 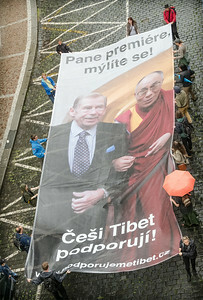 Action "Stěhujeme bigboard - Tibet stále podporujeme". 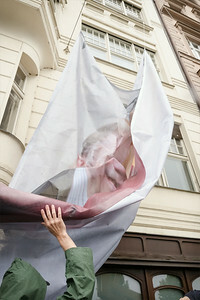 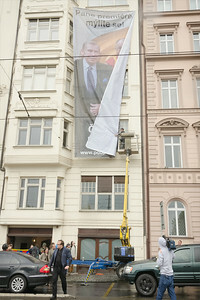 Because of questionable decisions of state officials, the billboard of H.H. 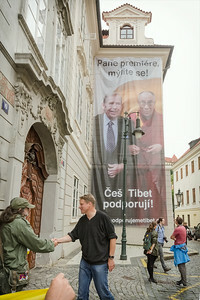 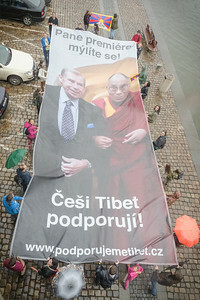 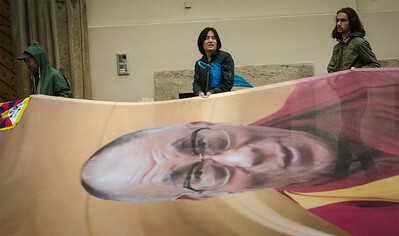 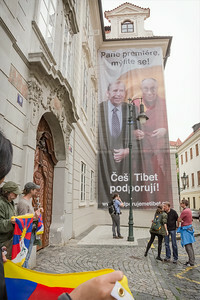 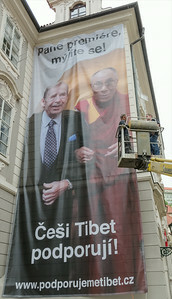 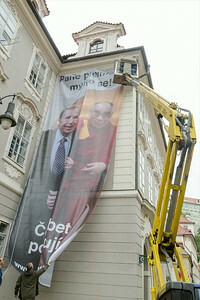 Dalai Lama together with Vaclav Havel had to be removed from that historical building (by coincidence, the street of the Czech parliament building). 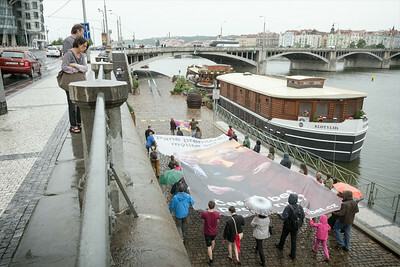 Vaclav Havel's brother suggested to move it on the house of Vaclav Havel's original home , and this was done 29 June 2014 as you see on the picts. 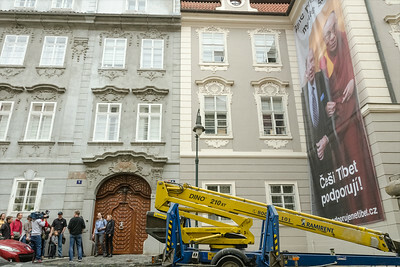 Because VH's house is also a historical building, it is probable that this billboard will become a baton to be passed time to time, as a case of civil disobedience. 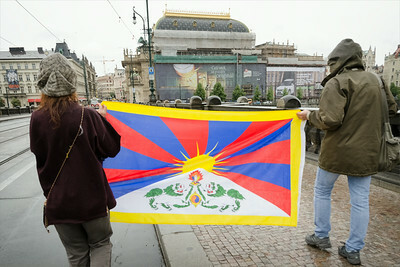 On one of the picts you can also see, there are other historical buildings like the National Theatre, were billboards are tolerated, accepted, allowed; claiming to be sponsors of the reconstruction. 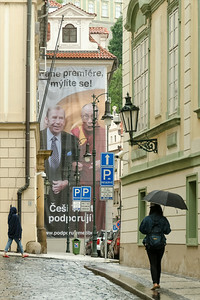 Based on that we can suggest, the real reason of keeping the official warning off (meaning a threat of high financial penalty from officials, in line with legislative) is not just rules for historical buildings, but discomfort of certain people when seeing this billboard. 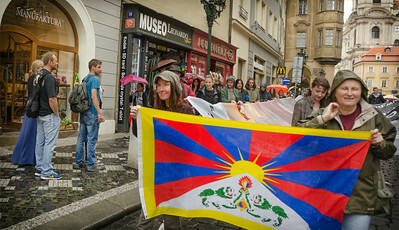 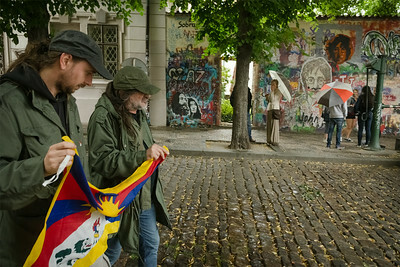 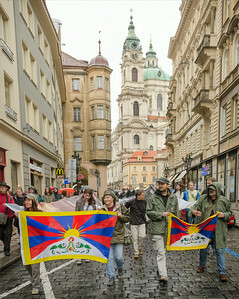 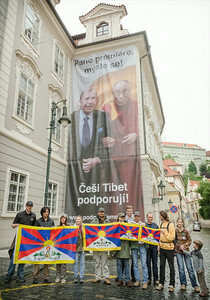 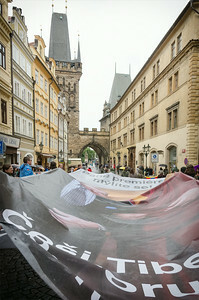 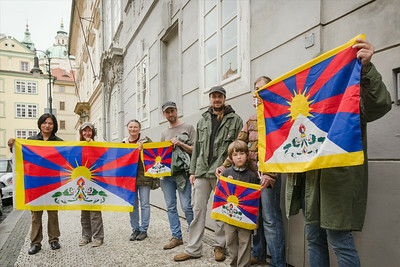 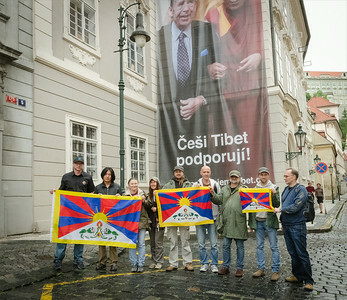 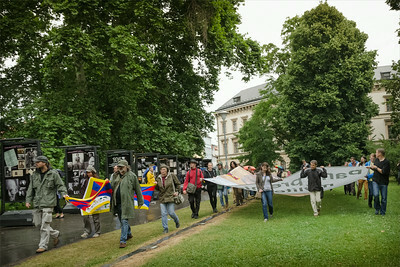 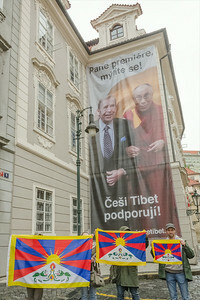 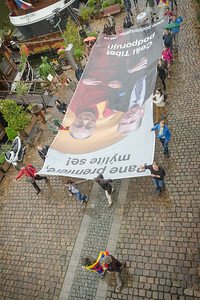 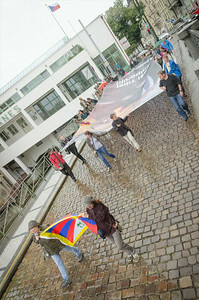 It says "The Czechs support Tibet" with reference to the Czech prime minister and very recent common declaration of the Czech and Chinese gov officials regarding Tibet.